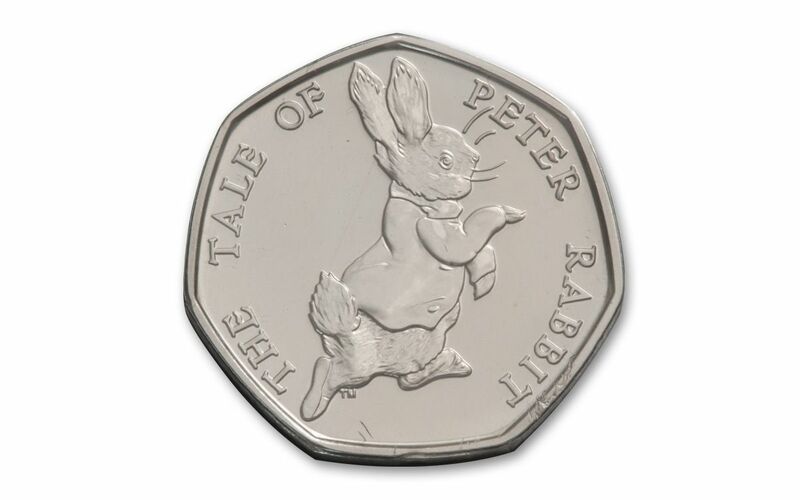 This is one rabbit you’ll have to move fast to catch! 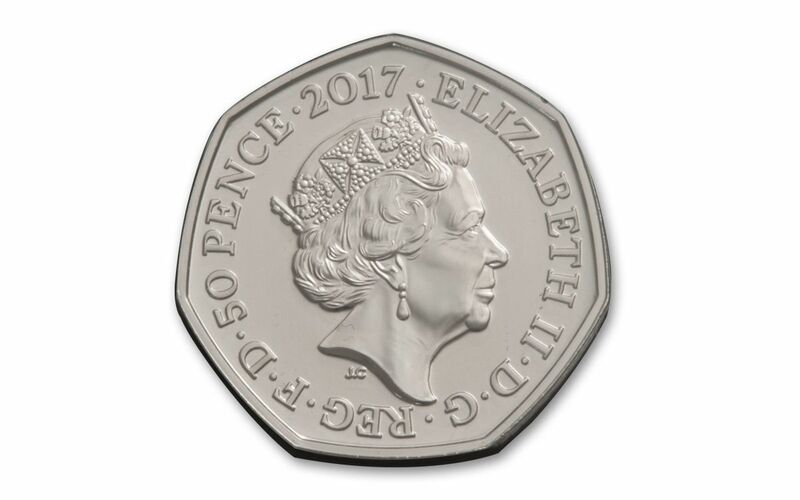 In 2016, the 50p Peter Rabbit Silver Proof sold out at the British Royal Mint in less than two weeks -- so this 2017 cupro-nickel 50p coin may be gone in a flash of hopping feet and white cotton tails! 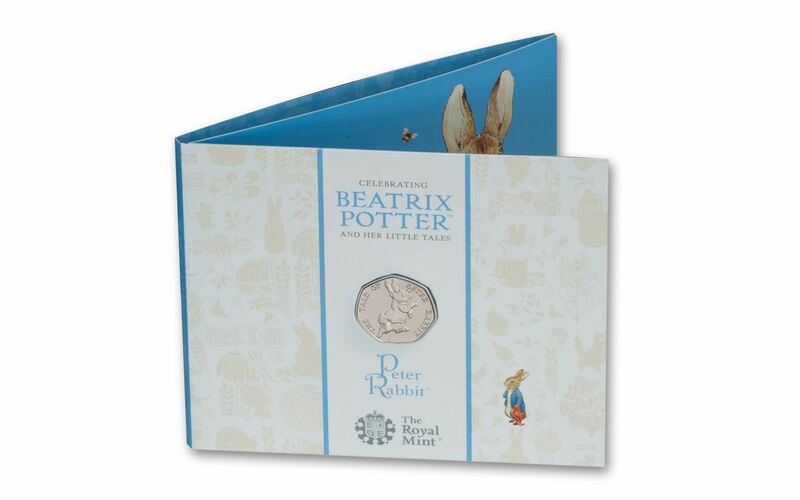 Each legal-tender coin comes in Brilliant Uncirculated (BU) condition in fold-out packaging detailing the life of British author and illustrator Beatrix Potter. 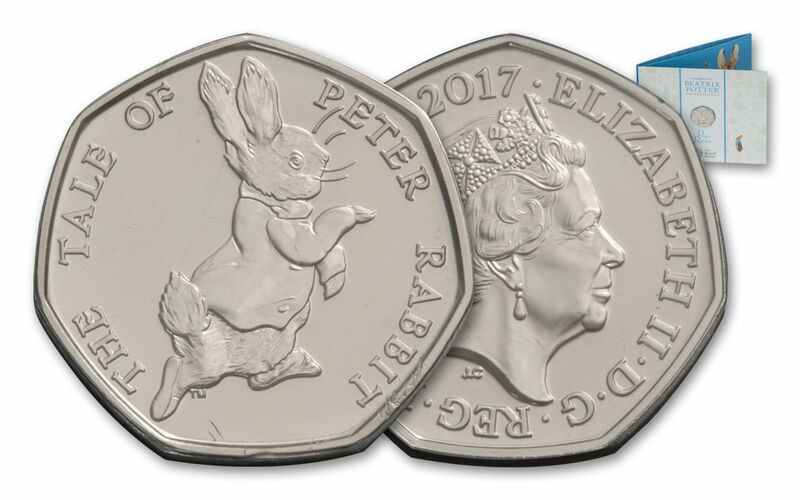 The reverse features Peter Rabbit himself, hopping along happily. Don’t miss out a second time -- order yours now!